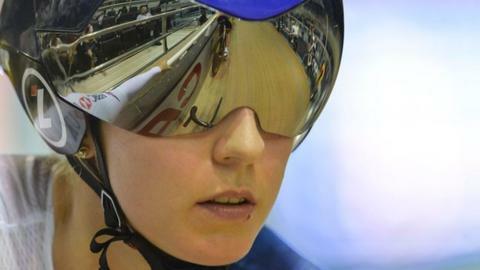 Great Britain’s Neah Evans finished 11th in the scratch race at the Track Cycling World Cup in Colombia. The 26-year-old Scot was making her World Cup debut for Great Britain’s cycling team in the race won by USA’s Sarah Hammer. Evans is also part of the women’s team pursuit, alongside Emily Kay, Emily Nelson and Manon Lloyd. The quartet qualified sixth fastest and will ride for bronze alongside New Zealand, Poland and Colombia on Sunday.